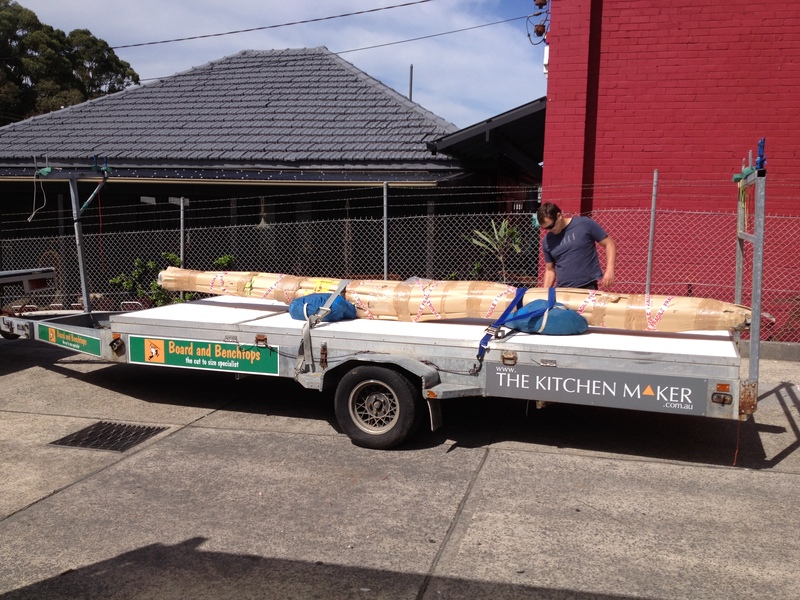 The Kitchen Maker 18 foot skiff team picked up a new mast this morning. And here is how it is looking not too long out of the box! 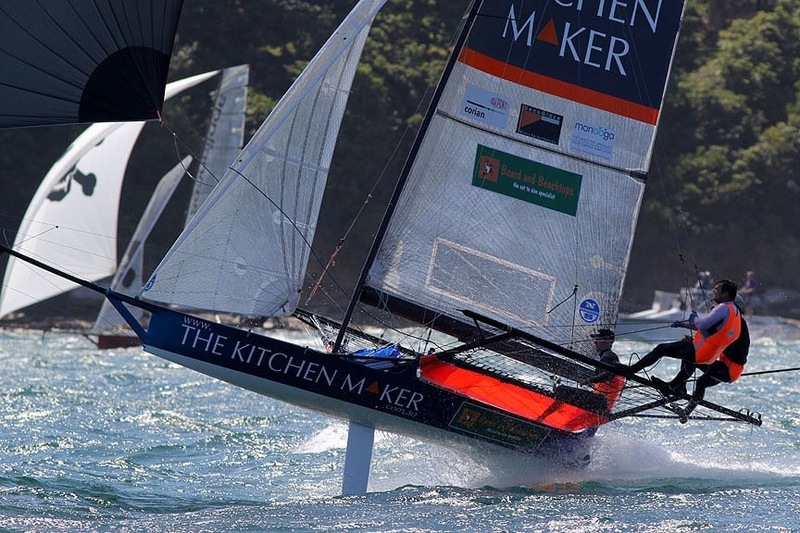 The Kitchen Maker factory was pretty handy workshop for putting together a new mast. 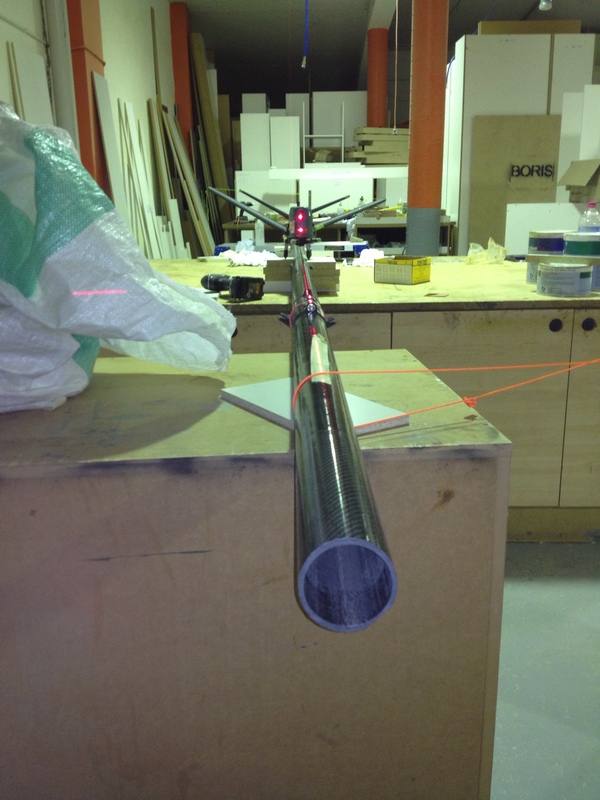 Though, it would have been handy if we had asked Ralph to set up a 10m long level benchtop to ensure the mast glued together straight. Looking forward to getting the new gear in the skiff.